There’s something for everyone at Chimney Rock. Whether you seek the high adventure of a challenging hike and guided rock climbing, a leisurely stroll and soaking in breathtaking 75-mile views of Lake Lure and Hickory Nut Gorge, something fun and interactive for the kids, or delighting in the cool mists of 404 ft Hickory Nut Falls, you’ll find it here. That’s not all. You’ll also find amazing rock formations, sheer cliffs and unique hiking trails. Pick up locally-made souvenirs at our two gift shops and dine at the Old Rock Café overlooking the Rocky Broad River or on the Sky Lounge patio with the valley spread out before you. Bring the dog; we’re pet friendly. Plus, there’s lots to do just outside the Park like boating, swimming, shopping and more. Check chimneyrockpark.com for all the details on guided hikes, educational programs and signature special events. Once you’ve seen it for yourself, you’ll want to come again and again. available for just $28 for adults and $12 for kids (ages 5-15). 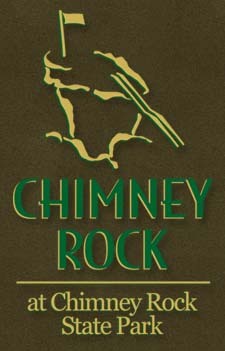 Call today 800-277-9611, email visit@chimneyrockpark.com or visit our web site chimneyrockpark.com.